Born and bred in Porthmadog Carwyn Jones counts himself fortunate to remember some of the local ‘old salts’ and was always fascinated by scenes & folk art on their walls. Ships in bottles, dioramas, paintings & scrimshaw - each piece of work with a different story to tell. 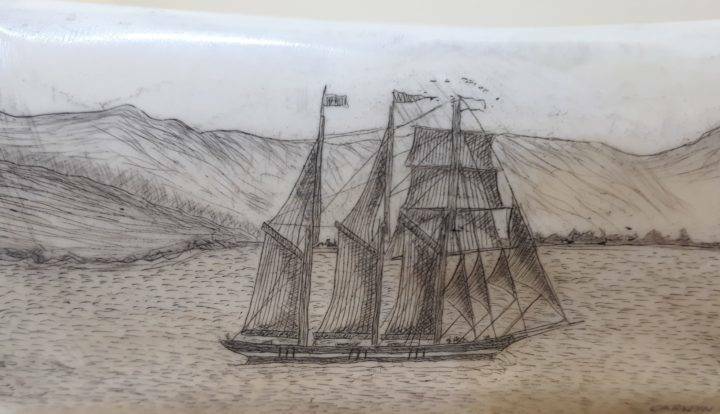 From an early age he was whisked away by these exciting pieces of nautical folk art & decided then to keep these traditions alive, by creating his own scrimshaw. He usually works on scraps of bones he comes across in the countryside or bones that the dog no longer needs – the ultimate use of waste material to create art. He has also carved Tagua nuts from ivory palms. His book, Llawlyfr y Dyn Gwyllt (Wild Man's Handbook) will be published later this year by Gomer Press.